Extreme Pita franchise for sale – Free Extreme Pita quick service restaurant franchise Information. It is uniquely positioned in a niche between fast food outlets and healthy eating restaurants. Similar to quick service restaurants, we offer our customers the convenience of providing fast healthy food while avoiding the expenses and delays associated with waiter/waitress service. One of the greatest strengths of the Extreme Pita is our ability to customize every rolled pita to suit the individual tastes of our health conscious customers. Lunch, dinner and late night offerings include a uniquely fresh and healthy variety of rolled pita sandwiches - 23 pitas on the menu are below 4 grams of fat. Many wonderful menu items such as surf n' turf, tuna, veggie burger, grilled chicken, gyros, and falafel are combined with a choice of different vegetable varieties served fresh or sautéed to perfection right in front of the customer's eyes. In addition to a healthy pita sandwich menu, broad enough to satisfy everyone's taste, the Extreme Pita offers a variety of pita pizzas, fresh salads, soups, and drinks. The Right Concept - With the saturation of numerous competing hamburger and sub-sandwich chains totaling more than 1,000 units each, Extreme Pita poses an excellent opportunity for growth. People today are turning away from traditional deep fried food and discovering the difference of fresh, healthy food. Research shows that all age groups are concerned about the food they eat. Everyone wants fast food with a fresh and lighter approach. 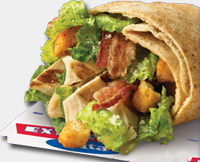 Extreme Pita's quick service pita sandwich restaurants are meeting all the expectations of today's and tomorrow's consumers that are looking for a quality, healthy alternative to traditional fast food. Become a Franchisee: The Extreme Pita is currently looking for self-motivated, team players to become franchisees in the following areas: <?xml:namespace prefix = st1 ns = "urn:schemas-microsoft-com:office:smarttags" />Arizona, Southern California, Texas, Virginia, Wisconsin and Canada. Become an Area Developer: The Extreme Pita is currently looking for qualified individuals throughout North America and over seas to become Area Developers. To learn more about the Extreme Pita franchise opportunity, simply complete the form below.